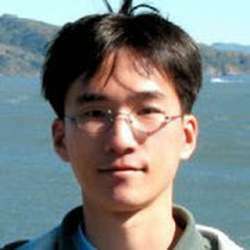 Hyunseok Chang joined Bell Labs as a member of technical staff in 2009. Since then he has been working on areas such as content distribution, mobile services, distributed cloud architecture, and data center networking. Prior to joining Bell Labs, he was a software architect at Zattoo Inc., a technology startup specialized in live media streaming. D. Yun, H. Chang, T.V. Lakshman, "Accelerating Vision-based 3D Indoor Localization by Distributing Image Processing over Space and Time", ACM Virtual Reality Software and Technology, 2014. H. Chang, A. Hari, S. Mukherjee, T. V. Lakshman, "Bringing the Cloud to the Edge", IEEE INFOCOM 2014 Workshop on Mobile Cloud Computing, 2014. H. Chang, M. Kodialam, T. V. Lakshman, S. Mukherjee, L. Wang, "Building Access-Oblivious Cloud Storage for Enterprise", USENIX Workshop on Hot Topics in Management of Internet, Cloud, and Enterprise Networks and Services, 2012. W. Wang, H. Chang, A. Goodman, E. Wucherer, S. Jamin, "Managing Digital Rights for P2P Live Broadcast and Recording on the Internet", IEEE/ACM Transactions on Multimedia, 2012. H. Chang, M. Kodialam, R. R. Kompella, T. V. Lakshman, M. Lee, S. Mukherjee, "Scheduling in MapReduce-like Systems for Fast Completion Time", IEEE INFOCOM 2011. H. Chang, S. Jamin, W. Wang, "Live Streaming with Receiver-based Peer-division Multiplexing", IEEE/ACM Transactions on Networking, 2011. H. Chang, A. Hari, S. Mukherjee, T.V. Lakshman, "Design and Architecture of a Software Defined Proximity Cloud," Advances in Mobile Cloud Computing Systems, CRC Press, 2015. "Accelerated Image Processing", US 9,392,293 B2. "Localization Systems and Methods", US 9,154,919 B2. "Scheduling MapReduce-like Systems for Fast Completion Time", US 9,104,477 B2.